How is that I have not used this gorgeous stamp until now? It must have waiting until this Candle die from Elizabeth Craft Designs made it to my craft room. I die-cut the candles out of card stock as well as craft metal sheets. I used foam tape to pop up some parts of the die and sponged a negative circle around the flame as well as around the panel. 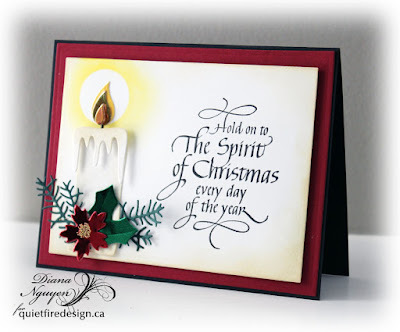 I love this Quietfire Hold on to the Spirit of Christmas stamp. Wouldn't it be great if every one was as excited about the birth of Jesus all year round instead of just as Christmas? And have that warm light to shine on every one. Hope you like this stamp as much as I do! Just beautiful, the card and the sentiment. What a lovely design and presentation. 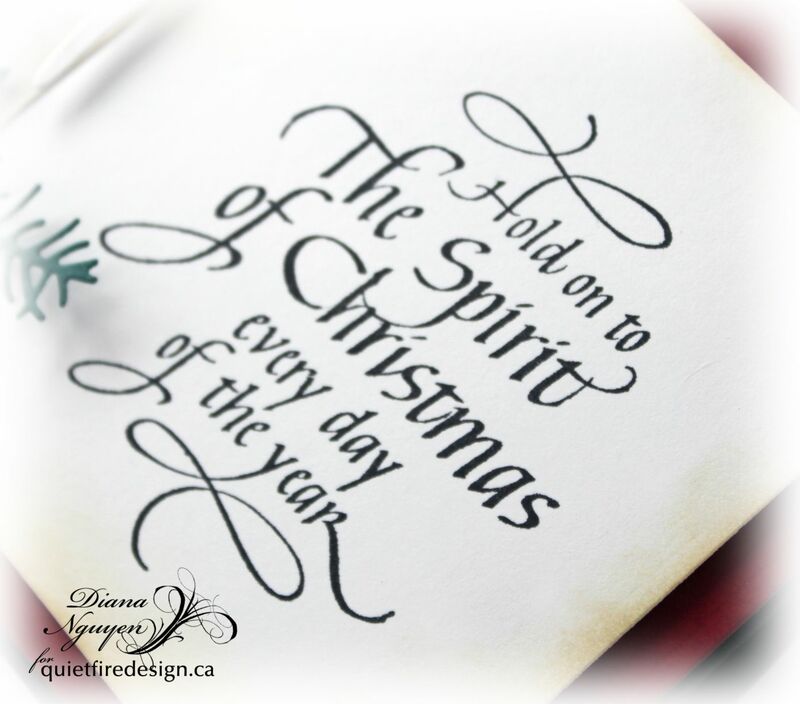 Think the sentiment would also work inside the card as well......altogether beautiful! the sentiment and die are a perfect pairing! beautiful! thank you for playing along with us at simon says stamp wednesday challenge!